The previous-generation Toyota Sienna has not been a great success. 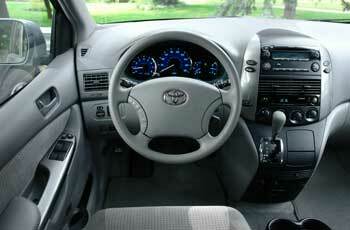 Toyota engineer Yuji Yokoya was tasked with redesigning the 2004 Sienna for the North-American market. To understand what North American minivan owners need, Yokoya drove the vehicle all over Canada, US and Mexico. This experience was vital to add many improvements to the Sienna. Toyota uses this approach called genchi genbutsu meaning go and see for yourself in all of its operations, including designing new vehicles. 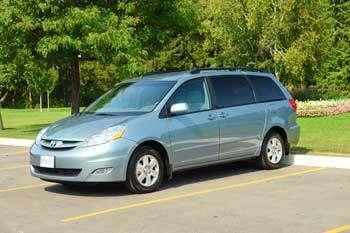 As a result, the 2004 Sienna is larger, more maneuverable and offers more storages and other improvements. Toyota Sienna comes with front- or all-wheel drive; in 7- or 8-passenger configuration. Overall, the Sienna has been reliable, but there are problem areas to watch out for. Interior: Inside, the Sienna offers plenty of space combined with versatility and comfort. Controls are simple and easy to use. The blue-backlit "Optitron" gauges, available on LE, XLE and Limited models from 2006, add a Lexus-like touch. The 7-seat Sienna offers two full-size comfy second-row captains-chair seats with armrests. The right seat can be repositioned side-to-side, offering either a bench or bucket arrangement. In the eight-passenger configuration you get three separate second-row seats combining a bench. The middle seat can be moved close to the front seats, making infants and toddlers in child seats more accessible. The 60/40 split third-row seat folds flat into the floor without removing the headrests. When the seat is in upright position you get a large storage well behind it. In case you need more cargo room, the second-row seats can be removed, although they are quite heavy. In addition, on some models, the front passenger seat can be folded down to use as a table-top. 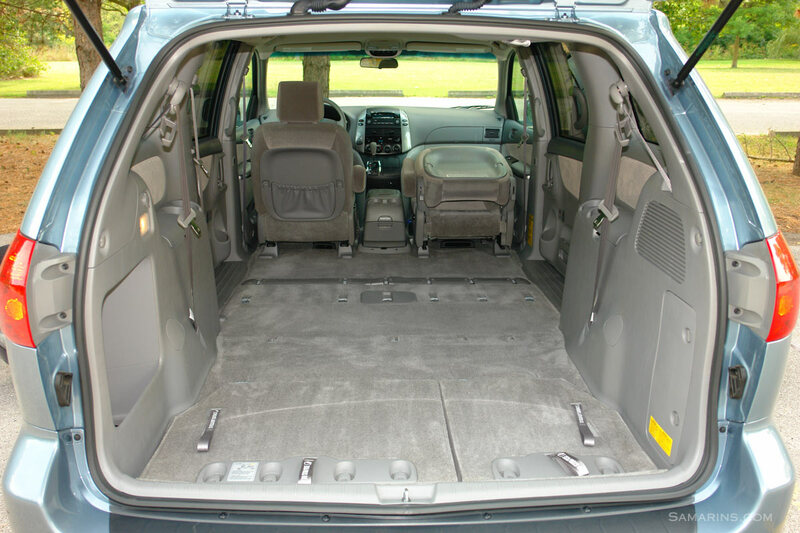 With the seats folded, the Sienna offers 148.9 cu. ft of cargo space. Both sliding doors are equipped with power windows. There are plenty of cup holders and storage compartments. The list of available options includes Navigation system with Rearview camera, Rear DVD, Dynamic Laser Cruise Control and power rear gate. Engine: The only powertrain choice is a transversely-mounted V6 engine with a 5-speed automatic transmission. The 2004-2006 Sienna came with the 230-hp 3.3L V6. The next-generation 266-hp GR-series 3.5L V6 was added for 2007. Timing Belt or Timing Chain: The 3.3L V6 engine in the 2004-2006 Sienna has a timing belt that must be replaced every 90,000 miles. Replacing a timing belt with a water pump may run up to $1200. 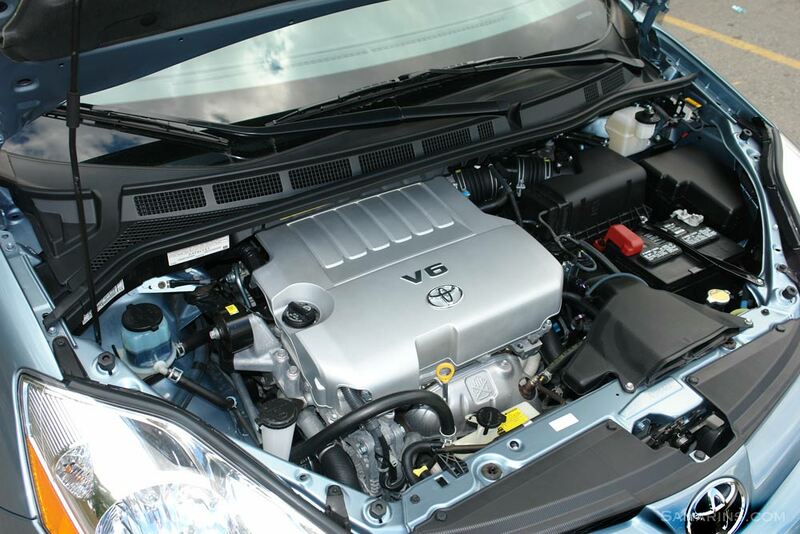 The 3.5L V6 in the 2007-2010 Sienna has a maintenance-free timing chain. A timing chain only needs to be replaced if there is a problem with it. Mechanical:The Sienna has MacPherson struts in the front and torsion beam in the rear suspension. Anti-Lock Brakes (ABS) are standard. Vehicle Stability Control with Traction Control is available. 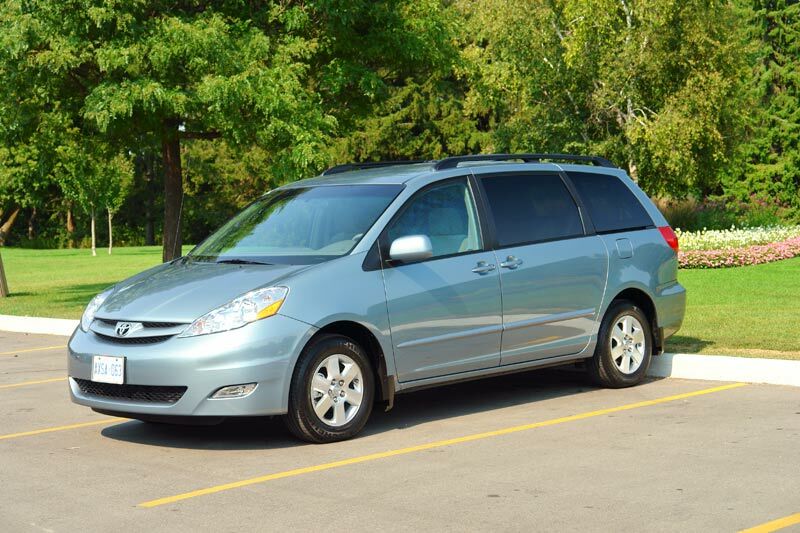 Fuel Economy: The 2007 Sienna is rated at 17/24 MPG city highway. This means, on a long highway trip, you can get up to 440 miles (708 km) on a 20-gallon (75.7 liters) tank. See more details in the table above. Driving experience: The Sienna is a pleasure to drive. The ride is soft and quiet, road noise is well absorbed. The steering is light, with tight turning radius. The 3.5L V6 in our test-car delivered lively acceleration. Cons: Expensive compared to other minivans, no spare tire in some models, run-flat tires wear fast and expensive to replace. 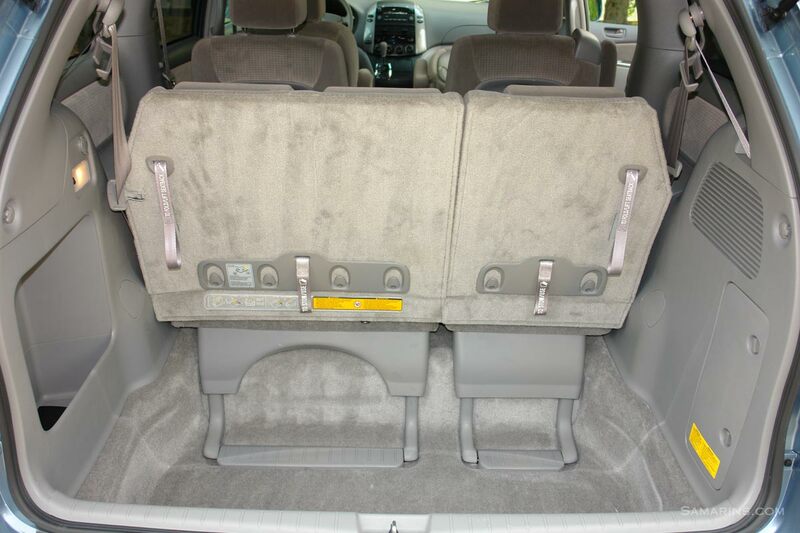 Toyota Sienna problems: Several owners mentioned problems with the sliding doors. According to the Toyota bulletin POL12-02, the warranty for the Rear Sliding Door Latch Assemblies and Power Sliding Door Cable Assembly has been extended for some models to 9 years or 120,000 miles. In the 2004-2007 Sienna, the front door checker mounting panel spot welds can become detached. There was a warranty extension. If out of warranty, the repair is quite expensive. See Youtube videos on the subject. The symptom is a loud popping noise when opening the driver's or the front passenger's door. When buying a used Toyota Sienna, both front door checkers must be inspected carefully. Exhaust leaks are often mentioned. The repair with aftermarket parts is not very expensive. Leaking valve cover gaskets at higher mileage are not uncommon ($220-$380 to replace). Oil cooler lines in the 2007-2010 models is another common source of leaks. Several owners mentioned replacing a leaking steering rack. With an aftermarket part, the repair may cost $400-$650. The intermediate steering shaft fails too. The part is about $180-$370, plus $90-$220 to replace. Despite the problems mentioned above, compared to other minivans, the 2004-2010 Sienna is one of the better ones. It's not uncommon to see the Sienna with over 200K miles still running strong. Safety Recalls - NHTSA - check for recalls. Transport Canada - Motor Vehicle Safety Recalls - check for recalls in Canada. Toyota Owners - maintenance schedules, electronic owner's manual and how-to videos.